Why did I read this book: That cover! The prospect of a spooky Halloween read and in interest in reading The Fall of the House of Usher from the sister’s perspective. “The Fall of the House of Usher” is one of Edgar Allan Poe’s most famous stories. It follows an unnamed narrator as he visits his friend Roderick Usher and witnesses Roderick’s (as well as his sister’s, and his house’s) mental and corporeal deterioration in what is often described as a melancholy, macabre piece of gothic fiction. The thing about Poe’s original (and probably most of Poe’s work) is that it’s an interesting combination of factual horror and psychological horror. The House of Usher can be taken as the literal house or as the “cursed” Usher lineage; the story divided in actual reality of a haunted house and the psychological terrors that could or could not be directly linked to it. Is Roderick really ill? Is he ill because the house makes him so or is that a self-fulfilling prophesy connected to the Ushers? If I am honest though, “The Fall of the House of Usher” always read as one of Poe’s least interesting works to me because it reads as a perfunctory horror story where one thing must follow the other and then we have this ultra-cheesy macabre ending in which corpses crumble to the floor just because. Plus, at the point when I first read it, I was already over the whole buried alive thing. And the whole emo thing. Ok fine, I was over Poe. Still, I recognize the fact that “The Fall of the House of Usher” is effective as a short horror story. But in it, we are introduced to Roderick’s sister, Madeline Usher, who is an utterly voiceless character (unless you count her scream when she is buried alive), which makes that short story a prime choice for a retelling. Cue The Fall by Bethany Griffin which is “The Fall of the House of Usher” retold from Madeline’s perspective. That viewpoint choice is what made me want to read it. Madeline and Roderick Usher are twins and very close. When they are twelve, Roderick is sent away to school by their mother, bent on protecting her favourite child, determined to keep him away from the house and the curse that afflicts most of the Ushers. By doing so, she (the evil villain) dooms her daughter to receive all of the house’s attention. Sickly and lonely, Madeline spends most of her time torn between wanting the world outside and being sucked into the reality of the House: a reality that includes illness, doctors, ghosts, books and a need to fight off the curse. The Fall is divided in small chapters titled according Madeline’s age at that point, that go back and forth in time following Madeline’s cursed life. “Cursed” being the operative word here: from an early age Madeline realises she – as an Usher of the House of Usher – is cursed. Cursed like her mother and father, like every Usher that came before. Just what exactly is the nature of said curse, how it came about and how it affects its victims and how to break it, is the focus of the story. And when I say focus, I mean: repetitive, monotonous, one-note babbling focus on said curse. 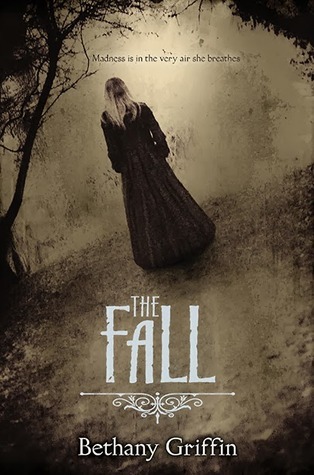 The Fall spends an inordinate amount of time around it, on long-drawn-out, forced attempts to build an “atmosphere” by including ghosts, dastardly abusive parents and caricatured abusive doctors and memory-loss “twists” that backfire by leading the story into boring territory. 420 pages of this merry-go-round is excessive. More interesting to me are the choices with regards to the retelling. I like that the viewpoint is Madeline’s and that it gives her a voice. But this interesting choice is contrasted to that of taking the originally psychological self-fulfilling prophesy into a silly, literal curse – a silly, misogynistic curse no less – which affects the “intended” of the house’s Chosen One. The first, more often than not, a woman; the latter, a man. If you’ve read Poe’s original, The Fall doesn’t really add anything to the original story. If you haven’t, I dare say there are other, better horror stories to read this Halloween. Save yourself, before it is too late! The first thing I notice is that my blanket is gone. The last of my nightly rituals is to pull it all the way to my chin, and it never falls away, no matter what nightmares I wrestle before I wake. But something else is wrong; I try to move, and though I don’t seem to be paralyzed, my arms are pinned tightly to my sides. My brain is slow; the horror saturates me gradually. I struggle, twist to the left, and free one arm. Reaching up, my trembling hand gets only a few inches before my fingers touch cool stone. I blink. My lashes spider-touch my cheeks, and then that touch is gone, so my eyes must be open. The dull, compressed darkness is so absolute that I cannot see my shaking hand, even as I bend my elbow and press my fingers against my right eye, and then my left—gently, very gently—to make certain both still rest in their sockets. My eyes are intact. But the relief dissipates as I recognize the shape of my prison, the feel of the thin padding beneath me, the slope of the cool stone. The plush lining . . . This darkness is the darkness of a coffin. Sounds like it has potential, but perhaps needed a bit more to make the story really come alive. The nod to Poe’s Fall of the House of Usher and taking an unexplored side of the story seems like an intriguing idea, although you raise some good points with Poe’s original. Nice review! internet connection with other things. This is why in Africa no matter the language, regardless of their pace and taste. If you were looking for some tricky game then the euchre is the best choice for you just visit here https://myeuchre.com and play euchre online without any pay and download the goal in the euchre is to player have to make more hands than your opponent to be the winner.